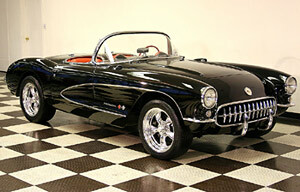 1957 CHEVROLET CORVETTE, A VERY SPECIAL CAR!!!! BEAUTIFUL BLACK CORVETTE FUELIE, This car is awesome, everything works. This AMAZING roadster is power by a stronger running 327 engine and fuel injector setup.Both tops, hard and soft. 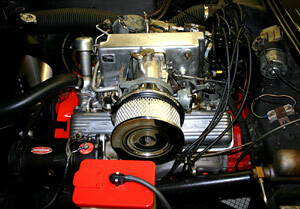 The engine is not the original low horse power 283 with the fuel injection set up, but it's not $300,000 either. 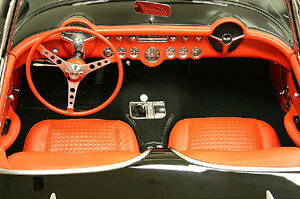 The car has extremely nice red interior and dash that looks like new. This car is launched by a 4 speed transmission. The car comes with both tops, hard and soft in very good condition.